Cupcakes are a great and popular alternative to a more traditional wedding cake. The beauty of cupcakes are that they can be made in multiple flavors, giving your guests the option of which flavor they would like to have. 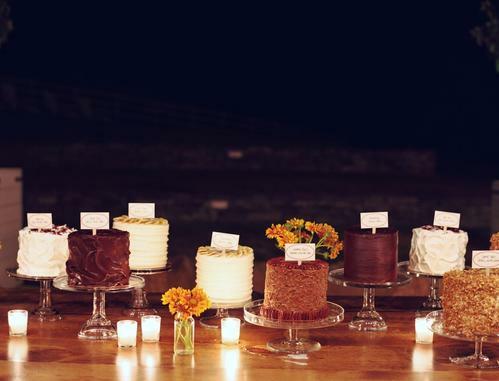 Instead have having one big cake with one flavor, think about having a cake buffet instead! Your guests will be able to choose from a variety of different cakes which can be creatively displayed as part of your wedding décor. Love pie? A pie buffet is another nice alternative to cake. 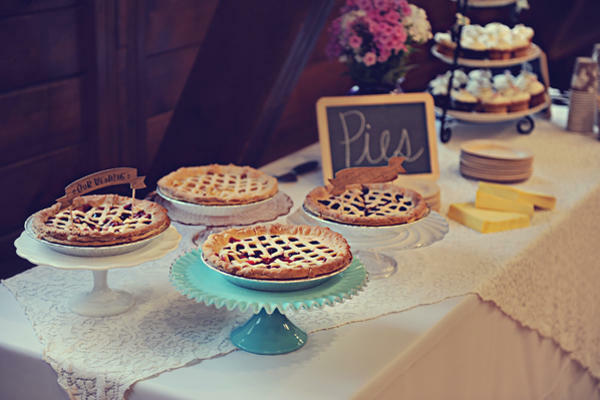 Similar to the cake buffet but with various types of pies, you guests will surely appreciate this yummy twist in the wedding tradition. Looking for something really different? Use donuts! These unexpected treats will be sure to wow your guests!